Richard Leigh Harris returns to the New Room for a programme of Bach Chorale Preludes and other 17th century and 18th century organ pieces. Richard Leigh Harris was born in Bristol and studied music at the Birmingham School of Music and at Reading University. 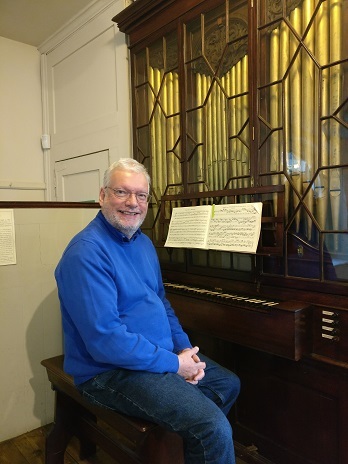 He lived and worked in Oxford for nearly thirty years as a harpsichordist, pianist, critic, lecturer and writer on music, before moving back to the West country in 2008. He lives in Keynsham and is also a qualified reflexologist and author (The Days of Our Vanity, My Bermuda Books, both published by Silver Wood Books, Bristol).